Emergency Dental Care, Call Us! Sandra I. Caldwell DDS is a leader in family dentistry in the Hyattsville and greater DC area. Since 1986, Sandra I. Caldwell DDS has proudly served the patients in her community offering a high level of care combined with continuing education and state-of-the-art equipment. Committed to providing a friendly and comfortable environment along with personalized care, her Full Circle Dentistry office welcomes your entire family for quality and low-stress dental care. The appearance of your teeth is important. Which is why you shouldn’t have to compromise the appearance of beautiful teeth when wearing braces. That’s why Dr. Caldwell provides options such as Invisalign so you can wear braces and smile with confidence. These breakthrough invisible braces use undetectable aligners instead of metal brackets. Even close up it’s hard to tell you’re wearing braces with Insalign. Dr. Caldwell’s office will give you an initial examination to determine if Invisalign braces are right for you. At Full Circle Dentistry, Sandra I. Caldwell DDS and her staff are veterans in treating clients of all ages. 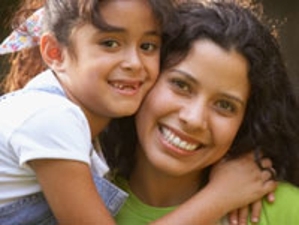 She knows when working with children, parents place the utmost trust in a dental professional. That’s why your family is in good hands with Dr. Caldwell. She and her staff members will provide your family with gentle care combined with exceptional service. Call us now and make an appointment for you or a family member at (301) 328-1138. Copyright © 2018 hyattsvilledentistrymd.com All rights reserved.